Perfect place to stay!! Great breakfast, friendly people, super clean, and just all around first rate. Definitely would stay there again. Where to find Katoomba hotels near an airport? Where can I find hotels in Katoomba that are near tourist attractions? 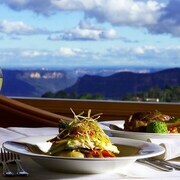 Located 14 kilometres (9 miles) southwest of the center of Blue Mountains is Katoomba. The Echoes Boutique Hotel and Restaurant and Lilianfels Blue Mountains Resort & Spa are all located within a strolling distance from the Three Sisters. While Mountain Heritage Hotel & Spa Retreat and The Carrington Hotel are within a short distance of the Blue Mountains Cultural Centre. Katoomba features a generous range of hotel options, which enables visitors to book a place that best suits their taste and budget. 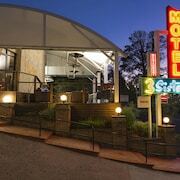 Among the more budget-aware accommodation options are the Hotel Blue and 3 Sisters Motel. 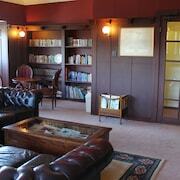 The Leura hotels guide is another place to look for places to stay in Blue Mountains. 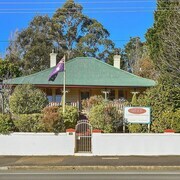 Leura is a neighborhood that is situated 3 kilometres (2 miles) to the east of central Katoomba. 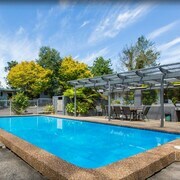 Another option is to make a reservation at a hotel in Wentworth Falls, which is another nearby Blue Mountains neighborhood. Visit our Blue Mountains vacation travel guide or the Blue Mountains hotels page to find out more about your visit to Blue Mountains. 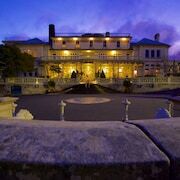 What are the most popular Katoomba hotels? 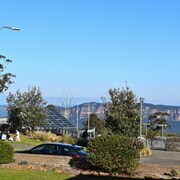 Are there hotels in other cities near Katoomba? 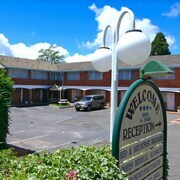 What other types of accommodations are available in Katoomba? Explore Katoomba with Expedia.ca’s Travel Guides to find the best flights, cars, holiday packages and more!